that jacket is gorgeous !!! Awesome jacket! Enjoy the rest of your summer! Great jacket! I love this shoes! Love it! Such a great outfits! Great swimsuit and photos:)You look fantastic!!! Love that touch of floral! Love your blazer. And your bathing suit is gorgeous. Hi! fabulous photos!!! Like your sunglasses!!!!!!! P.S. I have a new giveaway on the blog, and I invite you all to sign up for it! 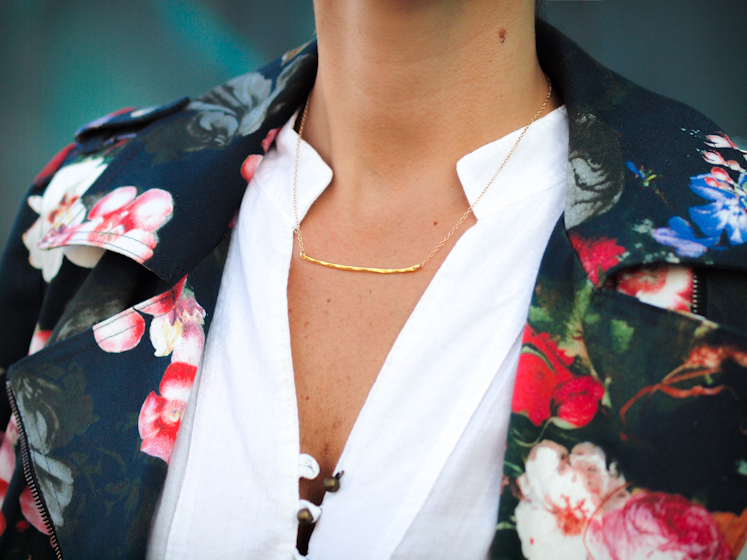 First time visiting your blog, I completely love your floral jacket. It looks amazing on you. Can you tell me where you got your blue swimsuit cover up? Thank you! Can you tell me where you got your blue swimsuit coverup? thank you! Debbie,I found this piece in a consignment Shop a few years ago. your blazer is simply looks amazing and you are looks too beautiful.. we are Travel agents provides Cheap airfare tickets Melbourne to Thailand, UK, India, USA.